Visionary Networks, a premier online provider of entertainment and self-help content focused on Astrology and its popular alternatives: Tarot, Numerology and I-Ching. Visionary_s primary website, Tarot.com, draws millions of loyal viewers every month who have come to treasure the site as a unique source of entertainment and wisdom in their lives. The company, based in Portland, OR, is celebrating its 10th anniversary in 2007. NameMedia is the industry leader in Direct Search and the marketplace for premium domain names. The company leverages the power of Direct Search through a proprietary publishing platform that creates revenue-generating search destinations, including the company’s network of vertical online properties in over 100 categories that include travel, finance, dating, health, shopping and technology. 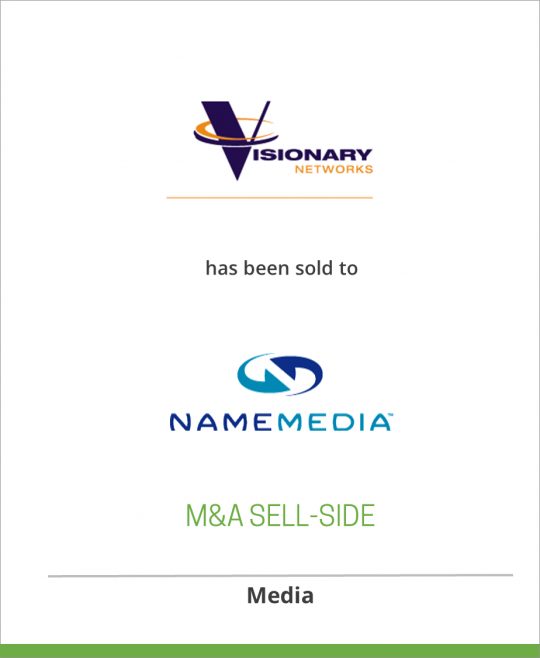 NameMedia also has the industry’s largest marketplace for buying and selling premium domain names. NameMedia is a privately-held, venture-backed, rapidly growing company headquartered outside Boston in Waltham, Massachusetts. For more information, visit www.namemedia.com.